It's loud, it's patterned, and it's all over their athletes' bodies. Say hello to Spain's terrible, horrible, so-bad-they're-almost-good Olympic uniforms. 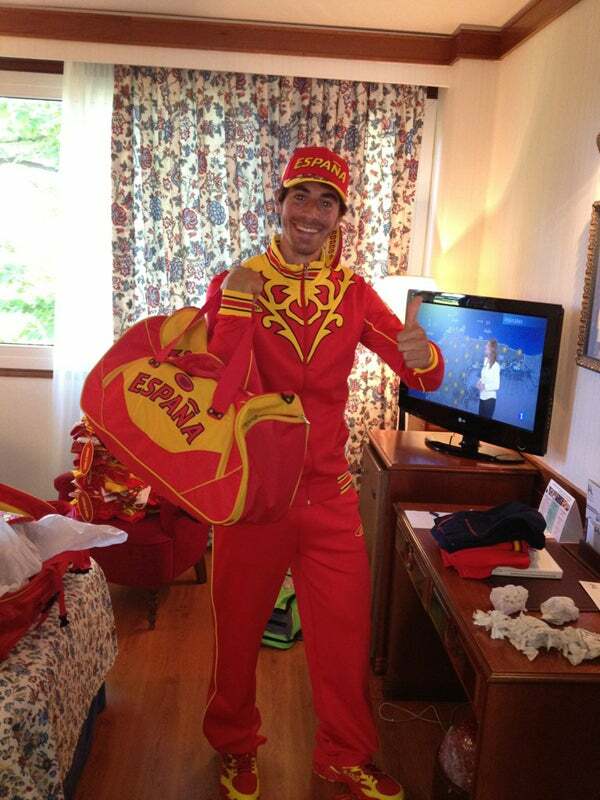 The filigreed red-and-yellow ensemble has left Spanish Olympians less than pleased, with some even taking to Twitter to file their thinly veiled complaints. Remarking that "It's loud, very loud" and having "no adjectives" to describe the flashy tops, one athlete even posted a photo of himself with the caption: "At home trying on my Olympic clothes. It's best if I don't give an opinion, I will leave it up to you." The big, bold baseball caps and garish tops are so weird that former tennis champion Carlos Moyá even cut to the chase while sticking it to a fellow player, saying: “Looking forward to seeing Feliciano López wearing the official Olympic uniform. He’ll never have worn anything so ugly in his life.” Burn! Though the disappointment seems to be contained to Spain, Bosco — the clothing company who provided the uniforms — also outfitted Russia and Ukraine in outfits that are just as bonkers. Russia's fantastically gaudy windbreakers are something we'd expect from an ironic passerby on Bedford Avenue instead of a team of world-class athletes. And Ukraine's? Well, let's just say that's where tunics go to die. Inspired by early '70s fashions (seriously), the women will wear capris and shrunken vests with a stylized print of wheat, and the men will apparently sport bell-bottomed trousers. In comparison to most competitors' blazers, dress pants, and classy hats, Spain's uniforms may be slightly more ridiculous than most, but there is a silver lining: In a deal struck up with the company, the country received them for free.